2017 4 Up Laser W 2 & Laser 1099 R Dble Window Env Self Seal TF61612 At Print EZ. 2017 4 Up Laser W 2 & Laser 1099 R Dble Window Env Self Seal Item No. TF61612 Size: 9" x 5 5/8"
This product is out of stock It will become available on 08/24/2011 and will ship on that date. This product is out of stock. It will become available on 08/24/2011 and will ship on that date. Crafted using 24# white wove paper, these double window envelopes are perfect for submissions of specific tax forms like form W-2, form TF5216, form 1099-R, and form TF5175. 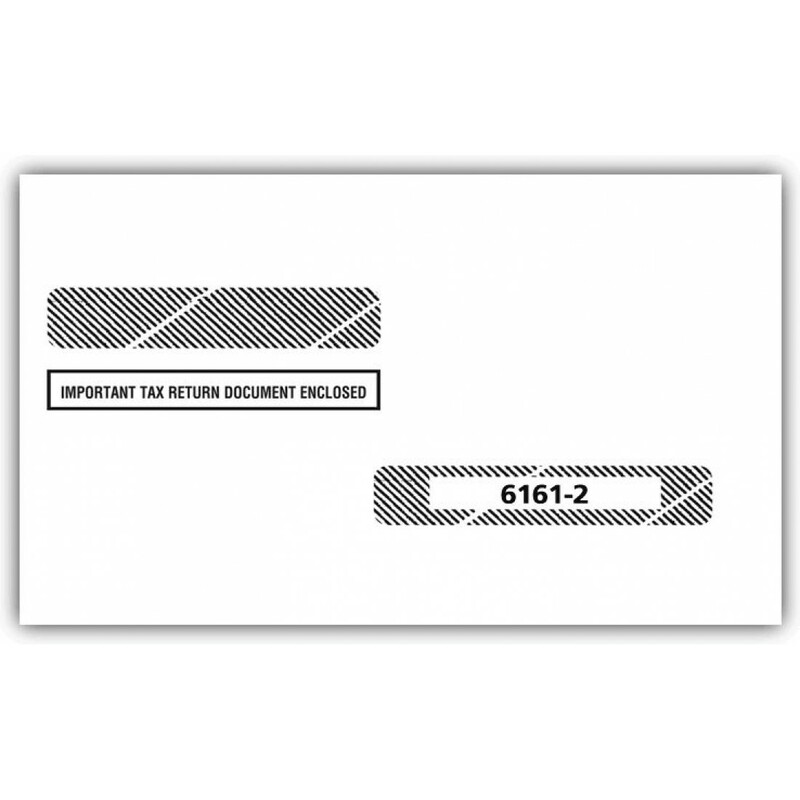 When you want to ensure easy tax returns, choose these special tax envelopes that allow you to complete the tax mailing process in a matter of a few minutes. These envelopes will help you mail in peace as all the confidential information remains enclosed and covered by tinted lining of the inside cover. 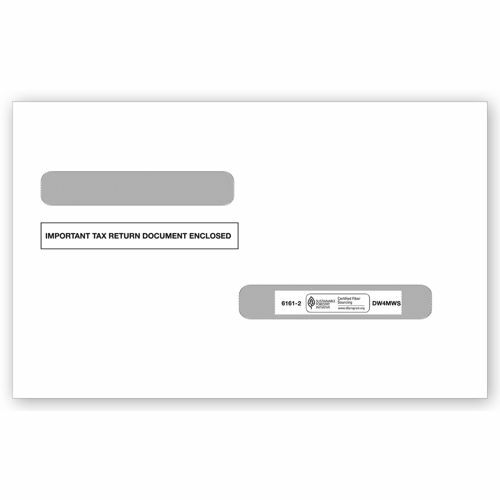 The words ‘important tax return document enclosed’ pre- printed on these envelopes save you the trouble of handwriting this information and the self-sealing flaps also go a long way in saving significant office time.